Focusing on the current digital world, ‘The Hummingbird Project’ has a trailer ahead of its theatre release. The motion picture stars Jesse Eisenberg, Alexander Skarsgård and Salma Hayek. Written and helmed by Kim Nguyen, ‘The Hummingbird Project’ has already been premiered at the Toronto International Film Festival on September 8, 2018. Now, ahead of its release in theatres, a trailer has been unveiled. 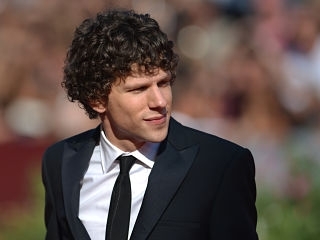 The movie star Jesse Eisenberg portrays a character based in New York who is involved in High-Frequency Trading. Furthermore, joining Jesse Eisenberg as a principal character in ‘The Hummingbird Project’ is Alexander Skarsgård. Alongside his cousin, they develop a multi-million dollar project involving fibre-optic cables running from Kansas to New Jersey. Kim Nguyen, mostly known for his 2012 film ‘War Witch’ has helmed the motion picture. Portraying the villain in ‘The Hummingbird Project’ is the acclaimed Hollywood star Salma Hayek. She plays Eva Torres, also a trader and the cousins’ previous boss, who is trying to make them fail in their fibre-optic cable project. Other actors also appearing in the flick are Michael Mando, Johan Heldenbergh and Aiysha Issa. ‘The Hummingbird Project’ is not the first technologically themed movie featuring Jesse Eisenberg. Indeed, in 2010, the actor portrayed Mark Zuckerberg himself in ‘The Social Network’ earning him several award nominations.